Some people find any excuse in the world to avoid the cold while others embrace it. Instead of laying on a beach this winter, why not do the exact opposite and head into the heart of it by taking a trip to the incredible ICEHOTEL located in the far north of Sweden? 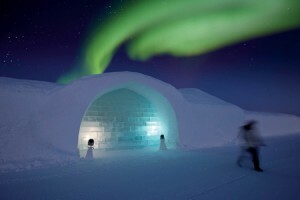 On top of being a hotel made entirely out of ice and quite a remarkable experience in itself, the land it is located in is one filled with mystery and wonder – a fantastic holiday for any traveller. Arrange your holiday to the ICEHOTEL through Discover the World and find yourself in a winter wonderland unlike anything you’ve ever imagined. From here you can set off on any number of daily excursions that will leave you wondering why you ever avoided the cold before. The magnificent light shows that ignite the sky in the far north of the northern hemisphere can only be witnessed in certain locations and the ICEHOTEL offers one of these fabulous viewing areas. Far away from the light pollution of the more inhabited south and close to the North Pole, the vibrant colours that set the sky alight is something you really can’t experience any other way aside from being there in person – and even then, they only happen when conditions are absolutely perfect. You too can be Santa Claus as you get behind the reins of your very own reindeer sled on this remarkable excursion opportunity that can be arranged through the ICEHOTEL. As one of the traditional animals of the Sami people, the reindeer have a special place in Lapland tradition and offer a great chance to take part in the ways of the northern culture of this area. Take in the unspoiled forests as you cut through the snow and enjoy the beauty of the land with one of its most noble beasts in your charge. There are few activities as distinctly Scandinavian as skiing and there is no better place to learn how to cross country ski or enjoy it as an old pro than in northern Sweden. 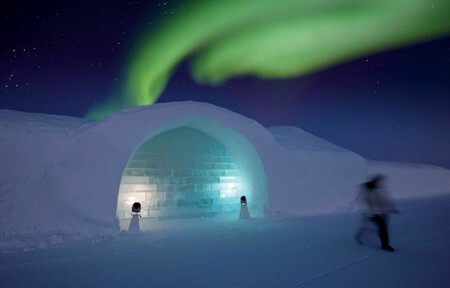 Arranged through the ICEHOTEL, you can go out with a guide to see the country without the noise of a motor or animal and bask in the pristine tranquillity of the northern nature. Cross country skiing isn’t just a leisure activity up here – it’s a traditional way of life among the snow and definitely something worth checking out. While it’s not recommended to get behind the wheel of any car and blast across the frozen landscape, with the proper guidance and vehicle it can be a safe and thrilling adventure. Head out with professionals around a frozen course, taking the turns on pure ice – or simply ride as a passenger. Most assuredly a high-octane pursuit, it may make you appreciate the simpler forms of transportation, like reindeer sled and cross country skiing!